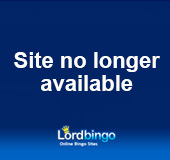 The Bingo ID site is closed. Please visit our Bingo Reviews section for other bingo sites. Bingoid.com is an online bingo Web site that is highly popular for its bonuses. Opening after the turn of the new millennium, Bingoid has quickly risen to become one of the industry's most popular online bingo destinations. The site and software may both look basic, but the features given to the players are much more advanced than most online bingo Web sites. The site is filled with a variety of experienced bingo players and that also contributes toward making the Bingoid experience a more pleasurable one for all players. The online self-help player base is helpful, and often helps new users figure the software out on their won. Bingoid's offers customer support that is leaps and bounds above much of the competition. Even Lord Bingo was impressed at how any question that you can possibly have will usually be answered within the hour. Unfortunately at this moment Bingo id only offers e-mail support, but they are hoping to expand their support options in the near future. Bingoid's software is very easy to understand for all levels of play. They offer a variety of games, and offer quite a few more options than the competitors. Some of the bingo games that Bingoid offers include 75 Ball Bingo, 90 Ball Bingo, Video Poker, Table Poker, Slots and Instant Games. Bingoid uses the TGN software, which is widely considered one of the best in the industry. Bingoid is a great online bingo service for new players and experienced bingo veterans alike. Their software is very to understand, and the player base is patient and understanding. They offer high bonuses, and are known to hold extravagant tournaments with very lofty prizes. Unfortunately, Bingoid.com does not accept new users from the US, but most other countries that usually experience limitations are accepted. Bingoid has a laid-back bingo atmosphere that is steadily gaining in popularity for a good reason. Check them out today!